Knowing shapes and numbers is the way to cross this crocodile river. 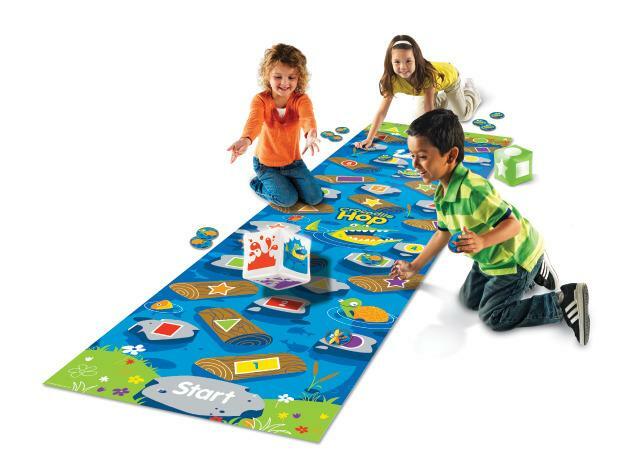 Super-size floor mat is irresistible and versatile for engaged learning and fun. Helps gross motor skills and reinforces colors, shapes, numbers and counting (1–10). Colorful vinyl floor mat measures 100"L x 30"H. Includes 2 inflatable 5"cubes, 40 animal game markers, and Activity Guide. Stores in box. Ages 3 and up. Dimensions: Floor mat - L: 100" x W: 30"